There are hundreds of Bangkok markets, ranging from the small and specialized to gigantic markets selling everything from antiques to pets. 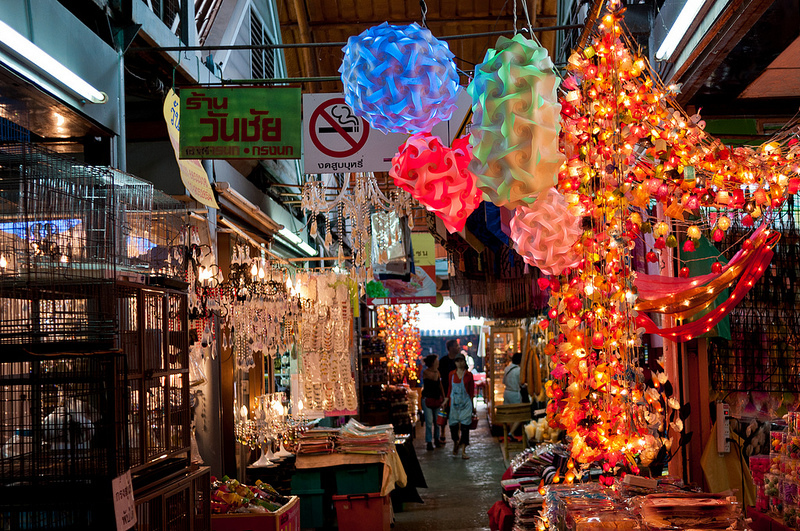 From riverside shopping to gigantic weekend markets, Bangkok markets range from charming and scenic to franticly busy. Bangkok is home to hundreds of markets that offer a huge range of items, from local handicrafts to clothes, technology and more. 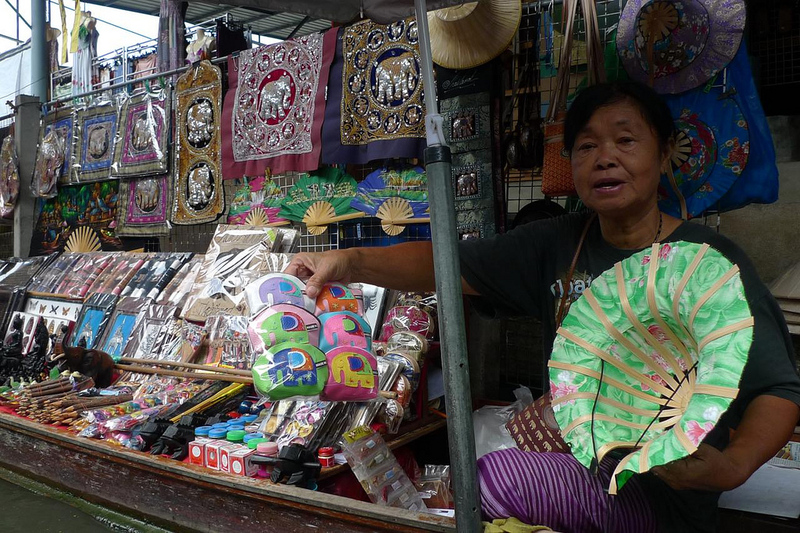 Chatuchak Weekend Market is Bangkok’s largest market, home to more than 8,000 stalls and 27 separate areas. Almost every product you can possibly imagine can be found in its myriad aisles, from antiques and handicrafts to pets and technology. Also known as “JJ Market”, Chatuchak is easily accessible via the BTS and MRT. To reach the market, you can either walk from Mo Chit BTS Station or, if you’re riding the MRT, exit right inside the market from Kamphaeng Phet Station. Chatuchak is absolutely massive, and its seemingly endless aisles and stalls can look the same as you pass them. Because it’s so easy to get lost, make sure you buy items when you see them – if you plan to come back later, you might not find the shop. 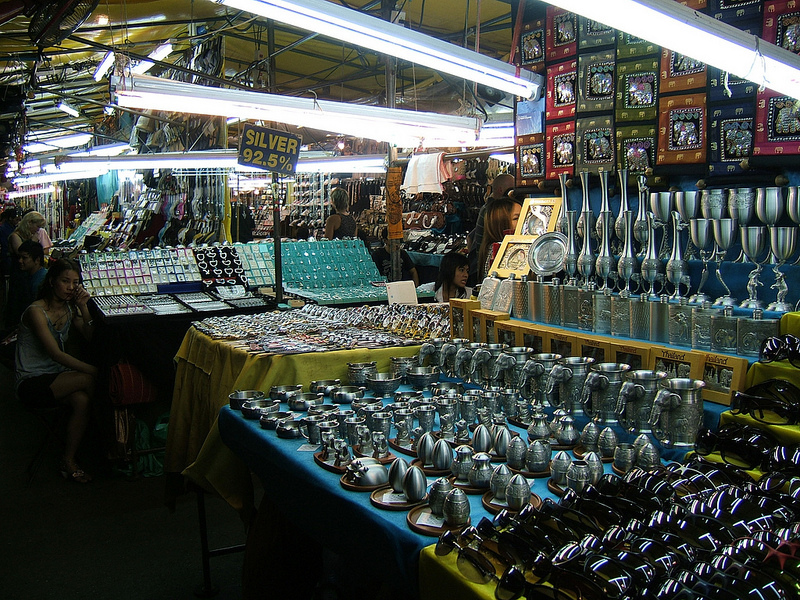 Pricing at Chatuchak is generally reasonable, but you should be prepared to haggle to get the best deals. Aim for 25-30% off the quoted price for products, of if you’re buying in bulk, see if the seller offers a wholesale discount. Patpong Night Market© shankar s.
Located in Bangkok’s most infamous red light district, Patpong Market might not be the most romantic shopping destination. It is, however, conveniently located and full of clothes, souvenirs and other items, albeit often at inflated prices. Patpong is a short walk from Sala Daeng BTS Station. Turn left from Silom Road onto Soi Patpong and you’ll be surrounded by neon and stalls. Be prepared to bargain, as most of the prices for products at Patpong are marked up considerably. While you’re unlikely to find any high quality goods here (and it goes without saying that any “bargain” fashion you find most likely isn’t genuine) Patpong’s location is a point in its favour, being just a short walk from some of Bangkok’s top hotels. 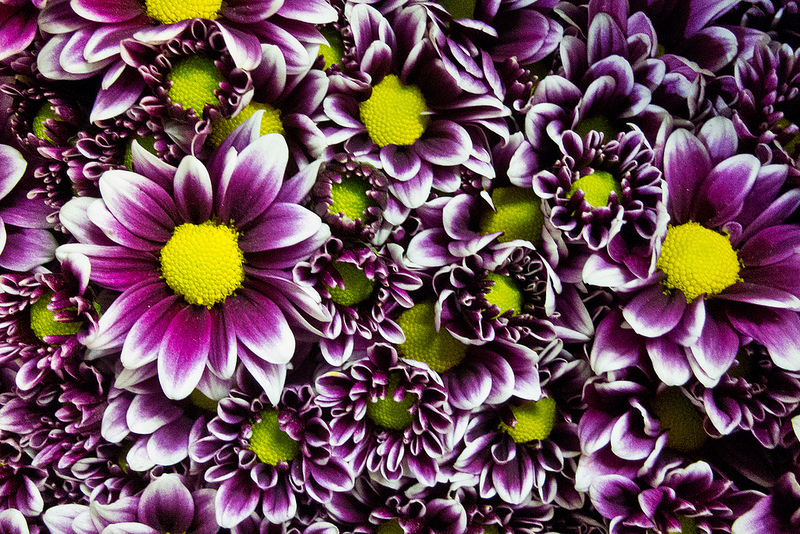 Pak Klong Talat is Bangkok’s biggest flower market. Located on Chak Phet Road, it’s a long distance from the BTS or MRT. Access this market by taxi or, if you’re feeling a little more adventurous, the Chao Phraya Express Boat at Saphan Phut pier. Although Pak Klong Talat is technically open 24 hours, you’ll want to visit early in the morning to catch the market when its selection is at its peak. Largely unknown to tourists, Pak Klong Talat is a great break from the typical Bangkok to-do list. Open from Saturday evening until Sunday afternoon, Klong Thom Market is equal parts thrift store and Blade Runner set. Klong Thom is Bangkok’s biggest second-hand market, offering everything from vintage fashion to retro video games. Located far from the MRT or BTS, Klong Thom is best accessed by taxi. Get there on Saturday night to see the market at its peak, or come on Sunday morning for a more relaxed and quiet experience. 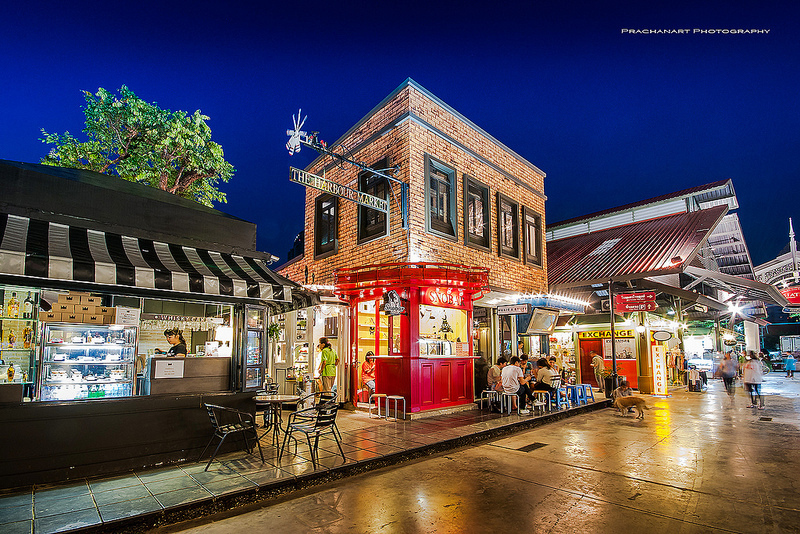 Open since 2012, Asiatique is one of Bangkok’s newer night markets. As its name suggests, it’s located on the riverfront and is accessible by free ferry from Saphan Taksin pier. Asiatique Riverfront contains over 1,500 shops offering clothing, jewellery, Thai cultural items and more. It’s also home to a range of riverside restaurants, a giant Ferris wheel and a selection of live performance shows. Rod Fai Market specialises in all things vintage, from the usual vintage products like jeans, watches and furniture to more surprising – and expensive – items like sports cars, 50s Godzilla merchandise and Vespa scooters. 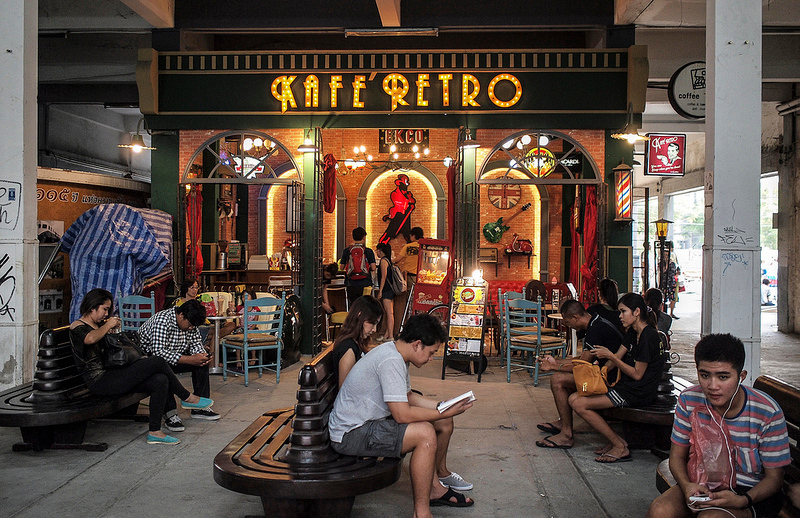 If you’re a fan of vintage fashion, Rod Fai Market is a must-visit shopping hotspot while in Bangkok. Located just behind Seacon Square, Rod Fai Market is accessible by taxi – ask your driver to take to you “Talat Rod Fai”. If you’re staying on Sukhumvit Rd and feel like a fun night of shopping and excellent food, On Nut Night Market is worth a visit. Located right next to On Nut BTS Station, On Nut Night Market is easy to access from anywhere on the Sukhumvit BTS Line. When it comes to shopping, On Nut offers more of the same – clothes, accessories and souvenirs are all cheap and easy to find. This market’s specialty is dining and drinking, and you’ll find one of Bangkok’s best outdoor food courts at the market. Khao San Road might be best known for its cheap bars and guesthouses, but it’s also home to one of Bangkok’s better tourist-focused markets. 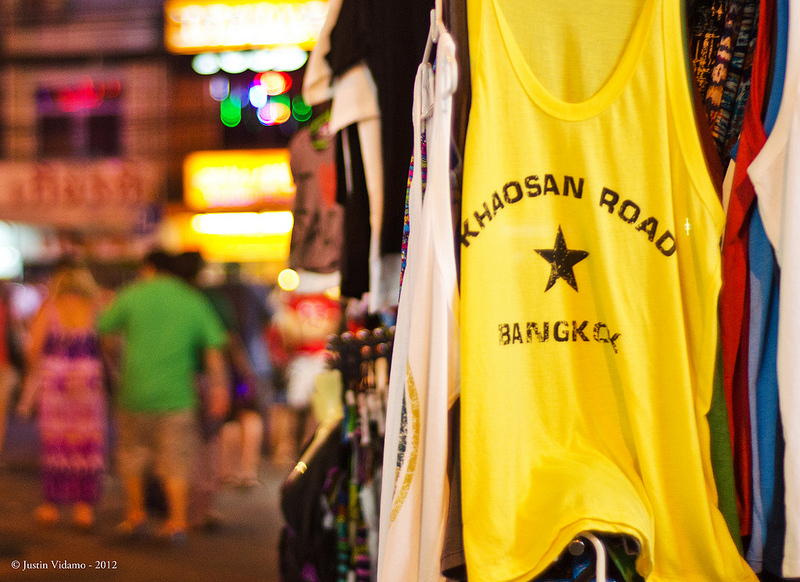 Cheap clothing, souvenirs, books and even fake IDs are easy to find at Khao San Night Market. If you’re staying on Khao San Road, just walk outside your hotel and you’ll be right in the market. A few blocks north of Khao San itself, you’ll find Banglamphu Market, which is a popular local market offering clothes and accessories at great prices.